The Law Office of Stacy L. Weiss, PLLC has been a trusted name New York businesses have turned to time and again for their liquor licensing needs, as well as to handle their commercial law, estate planning and real estate legal issues. At The Law Office of Stacy L. Weiss, PLLC, your business is our business. Call us today at 212.521.0828 or contact us online to arrange for a free initial consultation at our Manhattan location. Our office hours are Monday through Friday, 9:00 a.m. to 5:30 p.m., and evenings by appointment. Before starting her own law firm, New York liquor license attorney Stacy L. Weiss was a detective with the NYPD for 20 years and spent some time in the Civil Enforcement Unit. During this time she was actively involved in many nuisance abatement cases, including those dealing with violations and closings. Stacy’s experience with handling nuisance abatement issues resulted in her natural transition into the practice of New York liquor licensing law. 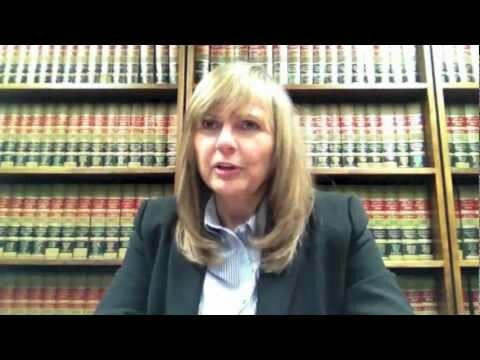 Stacy is pleased to offer her clients the advantage of Attorney Certification. This enables her to self-certify an application for a liquor license, expediting the approval process by the New York State Liquor Authority (NYSLA). While most case licensing can take a few months, Stacy’s Attorney Certification can reduce this time by several weeks. Nadia Cantave is a graduate of TCI College of Technology, receiving her associate’s degree of Applied Science in Paralegal Studies in August 2015. She graduated with a 3.7 g.p.a. A day after graduating from TCI, Nadia interviewed with The Law Office of Stacy L. Weiss, PLLC., and a week later became a part of our team. Nadia is essential to the day-to-day operations of the practice. Richard L. Rosen is the founding member of The Richard L. Rosen Law Firm, PLLC, whose offices are also located at 110 East 59th Street, New York, New York 10022. Mr. Rosen has been actively engaged in the practice of franchise law in New York City for over 35 years during which time he has represented many franchisors and franchisees both as counsel and as a business advisor. Mr. Rosen has counseled and represented franchisors in the setting up of franchising systems and programs, has formed franchising entities, drafted and negotiated franchise agreements, registration statements, disclosure documents and other ancillary franchise documents; he has represented franchisees and franchisee associations, and has litigated in both state and federal courts as well as arbitrated and mediated matters on behalf of both franchisors and franchisees. Mr. Rosen has held and currently holds numerous positions in the practice of franchise law. He was the Chairman of the AAFD’s Fair Franchising Standards Committee for nine years and a member that Board of Directors. He was the Chairman of the Legal Steering Committee and the Chairman of the Alternative Dispute Resolution Committee of the AAFD. He is a long-time member of the American Bar Association’s (ABA) Forum Committee on Franchising and its Anti-Trust Section, a founding member and present Chairman of the Franchise, Distribution and Licensing Law Section of the New York State Bar Association (NYSBA) (and the Chairman of its Franchisee Relations and its Mission Statement Committees), is a Panel Member of the Committees on Franchising and Corporate Law sponsored by the Association of the Bar of the City of New York (NYC Bar Assoc. ), a member of the Executive Committee of the Business Law Section of the New York State Bar Association and a member of the International Franchise Association (I FA). Mr. Rosen is a member of the Steering Committee of the National Franchise Mediation Program; a member of the CPR Institute for Dispute Resolution’s Distinguished Panel of Neutrals in conjunction with the National Franchise Mediation Program and has served as an arbitrator and mediator of franchise cases. Richard is listed in various “Who’s Who” and various “Best Lawyers in America”. Richard has frequently lectured on a variety of franchise topics before various State and County Bar Associations and he has been interviewed on both television and radio regarding franchising. Mr. Rosen is a contributor to “Franchising 101, The Complete Guide to Evaluating, Buying and Growing Your Franchise Business” compiled by the Association of Small Business Development Centers and has written various articles on the legal and business aspects of franchising. Richard L. Rosen and his firm are engaged in a general, commercial practice which includes involvement in the fields of corporate and real estate law with heavy emphasis on franchising law. Mr. Rosen has been a real estate developer for many years and has represented many commercial clients in their real estate development, acquisition and leasing endeavors. The firm also maintains an active state and federal court litigation practice and is engaged in other forms of Alternative Dispute Resolution, including arbitration and mediation.